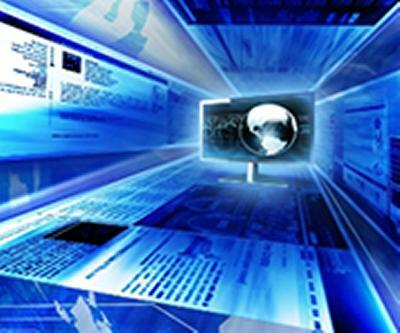 The University of Southampton is launching the new Web Science Institute today (11 November) to investigate how the World Wide Web is changing the world and the world is changing the Web. The Web is the largest information system ever constructed and a social and technical phenomenon that has transformed the world and continues to do so in innovative and unexpected ways that will shape our future. We can’t predict how the Web will change our society, but Southampton has taken a lead in developing new forms of economic, social, political, technological and cultural resources based on a deep understanding of the Web's technologies and social construction. showcasing unique and creative education programmes that set new standards internationally. The Institute will be directed by a multi-disciplinary team drawn from across the University and led by Web Science pioneers Professor Dame Wendy Hall and Professor Sir Nigel Shadbolt. The other WSI Directors are Professor Leslie Carr from the Web Science DTC; Dr Graeme Earl from Humanities; Professor Susan Halford from Social, Human and Mathematical Sciences; and Dr Lisa Harris from Business, Law and Art. Web Science is the subject of the University’s first ever Massive Open Online Course (MOOC), which starts today. The Web Science MOOC, developed by WSI members in partnership with the Centre for Innovation in Technologies and Education (CITE) and Future Learn, will examine the origins and evolution of the Web, and consider key questions of security, democracy, networks and economy from both computational and social science perspective.